A stiff and stout single pivot aluminium frame designed for aggressive XC and trail riding. With 120mm of rear travel it’ll take a fork with 130mm – 140mm travel, and comes in a fantastic shade of orange. For 650B wheels. Frame only, or have us custom build your dream machine. Demo bike available – we strongly recommend you test out this bike! Full spec and geometry info here! (Opens in new window). Call us on 01497 822419 or contact us to enquire about this frame, discuss build options, arrange a demo or place an order. 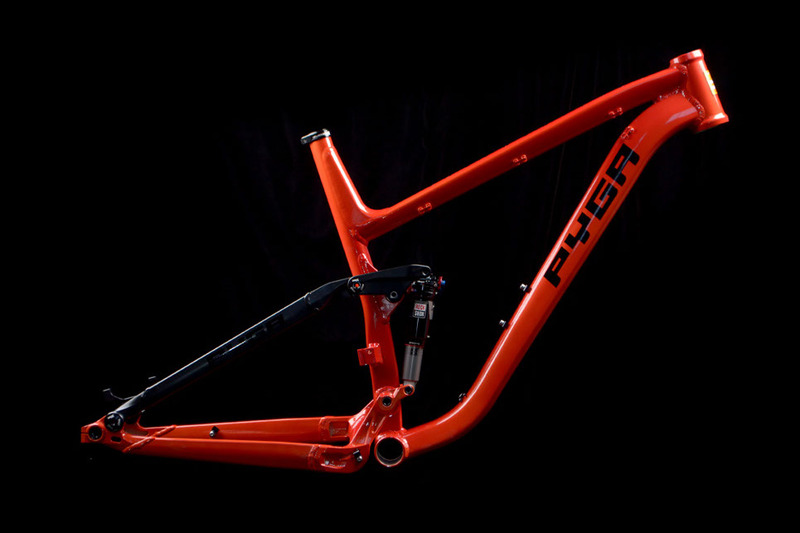 A stiff and stout single pivot frame designed for aggressive XC and trail riding. 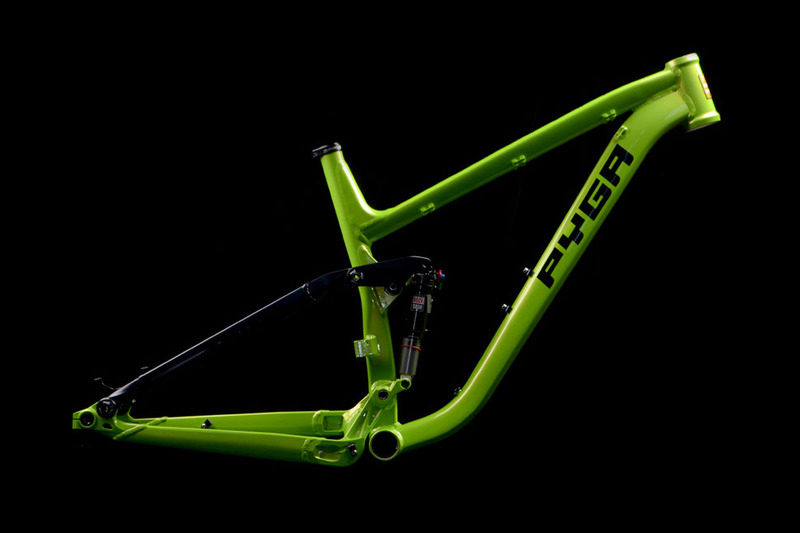 With 110mm of rear travel it’ll take a 120mm – 130mm fork, and comes in a fantastic shade of acid green. For 29″ wheels. Medium, large and extra-large sizes available. The Zero650 was designed for the adventurous XC rider, light and stiff but using the tail oriented geometry that makes Pyga bikes more fun to ride.